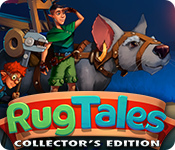 RugTales Collector's Edition is rated 4.0 out of 5 by 34. Rated 5 out of 5 by bujay00 from This game was awesome! I'm a time management addict but sometimes they get a little too monotonous. Too much of the same. This one was unique.. loved the graphics, the game play.. all of it! Rated 5 out of 5 by TMFanatic from What a fun and different TM game! This was a fun and challenging game! TM is my favorite genre and it was nice to see something entirely different from the norm. 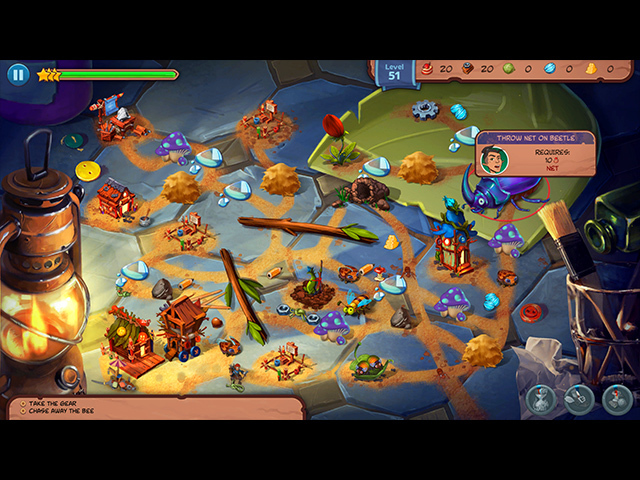 It took me quite a few levels to get the hang of it, and I didn't realize until around level 20 that there was a village you can visit to buy bonuses. I hope there is a sequel to this one coming soon, this was a great way to spend a weekend. Rated 5 out of 5 by Nocturne from Yeah, I liked this game As others have stated, it's a little different from your usual TM/Strategy game. There are actual levels where if you don't do things in the right order you'll have to start over (because you'll run out of what you need). It does take a while to figure things out since they only sort of give you hints about what you'll have to do, plus on some levels you'll need to multitask; many a time I forgot to keep and eye on the advancing bar and had to start all over again. Ugh, plus there are cockroaches (I hate 'em). There are some chores each boy only can do too. 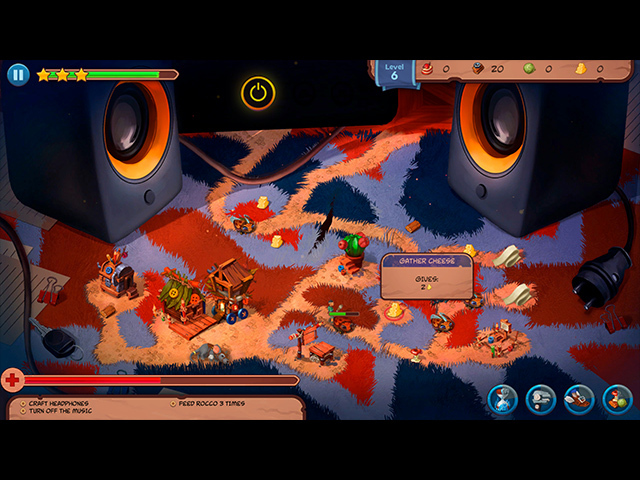 However, I've now played 4 times and have run into some funny bugs, like one of the boys will get stuck running in place instead of doing what he's been sent to do (sometimes you can just unclick the chore and reclick it and that gets him unstuck but sometimes you have to restart that level), and on the bottle rocket level I had to play that 5 or 6 times to finally get it to work, got everything done and loaded but it wouldn't let me tell the boys to get aboard. I hope they continue this story. Rated 5 out of 5 by sherhea12 from The little men who is really working hard I love this game its keep me excited to get to the next board.I like games like this its different from any game I Played.Please put another one on big fish and don't wait so long. Rated 5 out of 5 by snow2mom from Great Game I found this TM game to be a bit unique, loved the story line too. Some of the levels were easy, and more of them were challenging. I hope that there are more versions of this game being developed. Rated 5 out of 5 by ncr59 from Borrowers at it's best Love this game, challenging and fun story line. Fun for the whole family. I would love to see more games like this. Rated 5 out of 5 by gmrgrl25 from Fun TM that is more challenging than you would think I loved this game. It is not easy to get 3 stars on the first pass. There is a village you can build to upgrade character speed,, cost of actions etc. 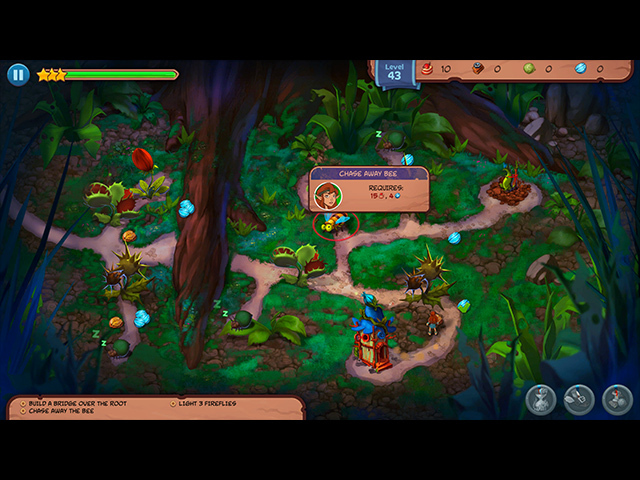 Also a good walkthrough to help with the more challenging levels. Rated 5 out of 5 by bonbon663 from Innovative TM game. I'm really liking this TM game. It's a very unique premise. You are a little tiny village of people navigating through the world of the "giant" humans. It's different, and what you have to collect is not the same old thing. Nice game. Rated 5 out of 5 by Scout4107 from Great game Lots of fun, interesting, challenging. Thoroughly enjoyed it.